This is “About the Author”, article 1 from the book Music Theory (v. 1.0). For details on it (including licensing), click here. Mark Andrew Cook serves as Director for Music Theory and Composition at Shepherd University. He is also a member of the Jazz Studies Faculty. 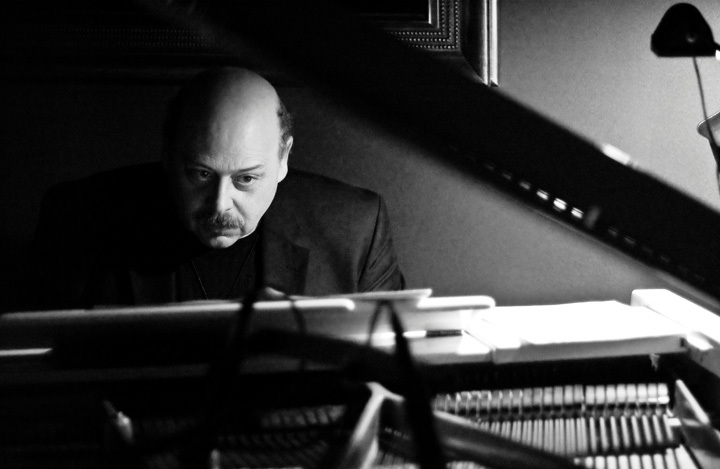 Prior to his appointment at Shepherd, he served as a member of the Music Theory Faculty and was the Jazz Ensemble Director at The Catholic University of America. Additionally, he served as an Adjunct Music Theory Instructor at Towson University. He also taught Music Theory, Jazz Studies, History and Applied subjects at Montgomery College. He served as the Director of Jazz Ensembles and Wind Ensemble, and as Music Director and Conductor for The Montgomery College Symphony Orchestra. In addition to teaching at Shepherd University, Dr. Cook is Guest Lecturer in Music Theory and Composition at The Barbara Ingram School for the Arts. He received his B.M.ed. from the Peabody Institute of the Johns Hopkins University, and both his Master’s degree and Ph.D. in Music Theory from The Catholic University of America, his dissertation being an analysis (proportional organization and set analysis) of Paul Hindemith’s symphony Die Harmonie der Welt. He is an active composer and performer in both the Classical and Jazz styles and has many performing and recording credits.